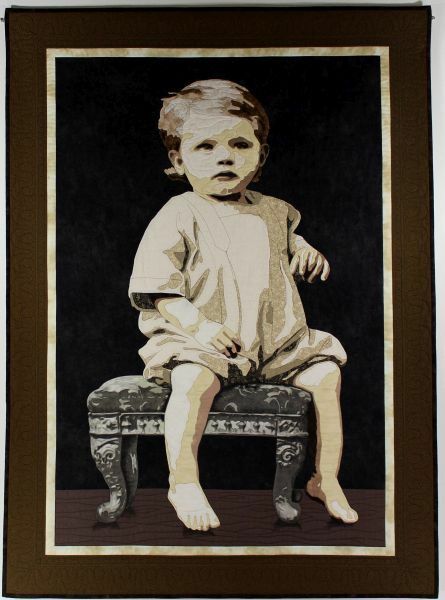 This quilt was created from a photo of Keller's mother as a young child. The photo was taken in the Danish orphanage in Tyler, Minnesota. It is hand appliqued and machine quilted.